It is another perfect southern California day, and I am participating in a great American tradition. Different countries have different rites of passage according to their history and their culture. Some sail the seas. Some climb mountains. In the United States, there is the Road Trip. Sometimes the journey is the purpose and the destination is unimportant. But today, my 50 mile road trip east of Los Angeles is for a specific reason - a visit to Chino Airport and the Planes of Fame Museum. 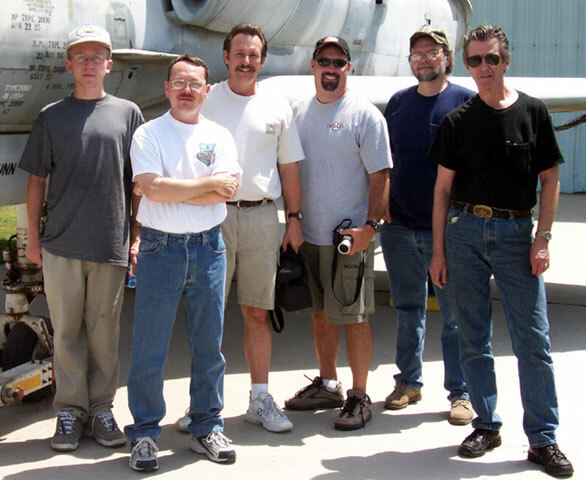 Some of HyperScale's regulars invited me to join them for breakfast at Flo's Restaurant on the grounds of Chino Airport. After a thoroughly enjoyable start to the day involving large amounts of cholesterol and a side serving of good conversation, we struck off on a tour of the flightline, the hangars and the Museums. and Tom Cleaver under the shade of an A-4 Aggressor. Chino Airport was the final resting place for hundreds (if not thousands) of the hulks of unwanted WWII aircraft. Rows of Marauders, B-25s, Liberators and scores more aircraft types were first stored then disassembled and scrapped here. The legacy of this Warbird graveyard is an airport littered with airframe carcasses; either abandoned or, later, brought here for cannibalisation or restoration. There is a surprise in every direction. An F-100 here. Four SAAB Viggens there. Hellcat Fuselages. Several F-14s. And we have not even checked the hangars yet! 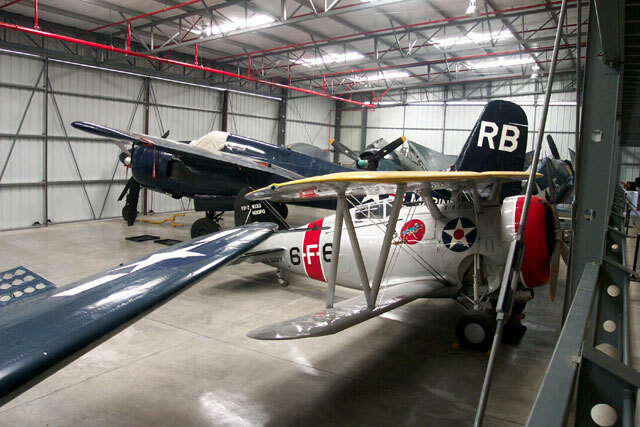 Several restoration and display facilities operate at Chino. The photos on this page are a brief summary of some of the sights, but a few more detailed Reference Galleries on specific subjects will be posted in the coming weeks. 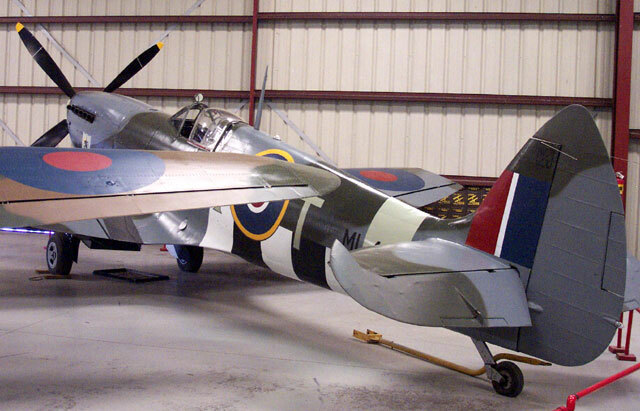 Whether you are interested in WWI, "Golden Age", WWII, Post-War or Modern aircraft; whether you prefer pristine restorations or authentic wrecks in original condition, there will be plenty for the aircraft enthusiast to see. The aircraft were fabulous, the company was great and the day was unforgettable. As I was heading back into Los Angeles passing Anaheim, it struck me that Disneyland is not just a place but also a state of mind. After today, Chino is now near the top of my list as a personal "Magic Kingdom". Gregg Cooper, Tom Cleaver, Kelly Jamison, Brian Criner and son, Dave Kovach and Robert Karr and son, for participating in a great day.